Orth Building #1 | Historic Jacksonville, Inc. The 2-story Orth building, located at 150 S. Oregon Street in Jacksonville, was erected in 1872 by German born butcher, John Orth. 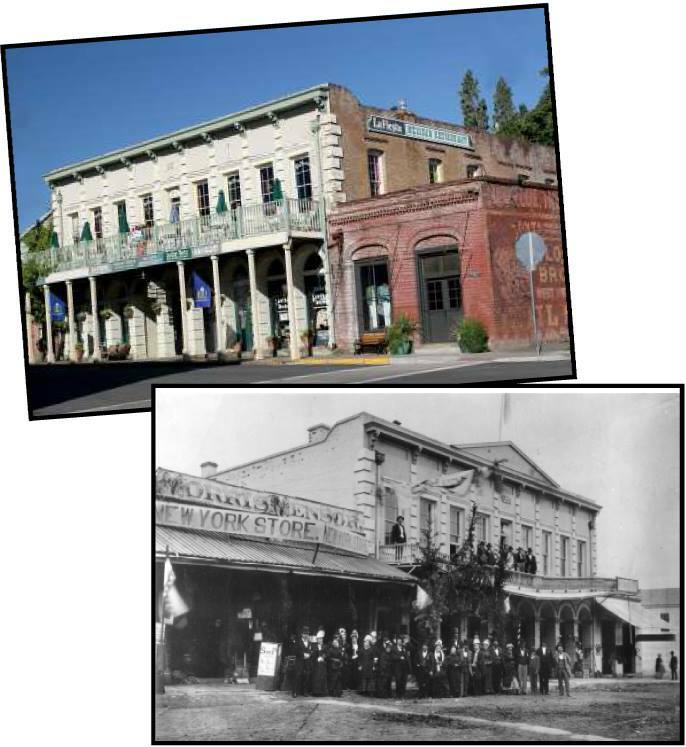 Prior to the building’s construction, Orth’s butcher shop had occupied a wooden frame building on the same site, sharing the block with the Palmetto Bowling Saloon, the Old City Brewery, and the City Drug Store which served as both pharmacy and hospital. When Orth razed the older buildings to make way for his new edifice, the Democratic Times newspaper noted that the site had been “devoted to almost every purpose except printing a newspaper and serving God.” The Democratic Times rectified one omission, taking office space in Orth’s new brick building.